All the usual suspects, plus a high-tech Cadillac. 2017 hasn't been the easiest year to live through, but we've found joy and comfort in some of the hardware we've tested over the last 12 months. Last year, we saw VR surge in prominence, but our picks this year are more conventional -- not to mention more diverse. The usual suspects include the iPhone X and Surface Laptop for getting helping us get things done, and the Nintendo Switch and the Sonos One for their ability to let us luxuriate at home and on the road. There's some more unexpected stuff on our list, too, like the easy-to-use DJI Spark drone as well as the Mighty, a tiny music player that won over much of the Engadget staff. Ultimately, we appreciated these picks for the ways they made our lives more pleasant, even if only a little. 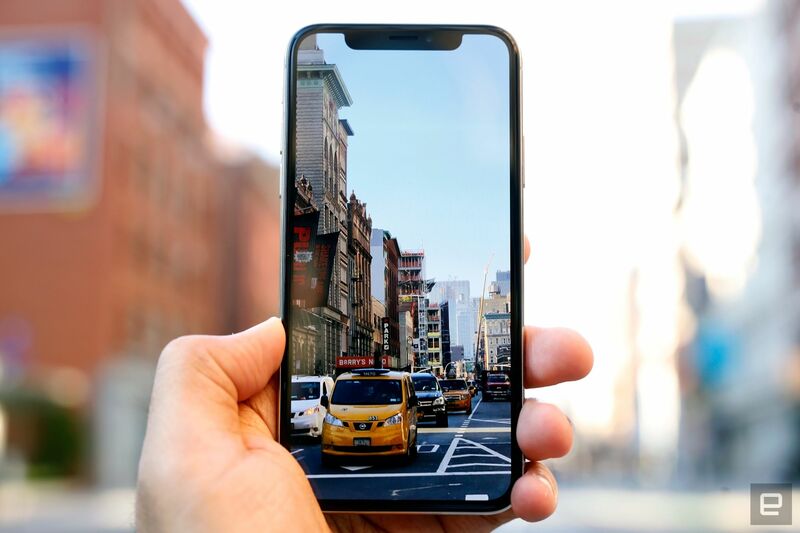 Apple's latest iPhone is a radical departure from the company's tried-and-true smartphone formula, but you'd better get used to it. The home button is finally gone, and Apple's new Face ID technology works better than we expected and gives app creators another canvas for new kinds of experiences and interactions. (Animoji, anyone?) And for those more concerned with speed and camera performance, the iPhone X delivers on those fronts, too. What really impressed us about the iPhone X, though, is the way Apple rewrote its rules for what an iPhone should be and still managed to build a pleasantly familiar slice of tomorrow. This is the future of the iPhone, and we're more than happy to never look back. 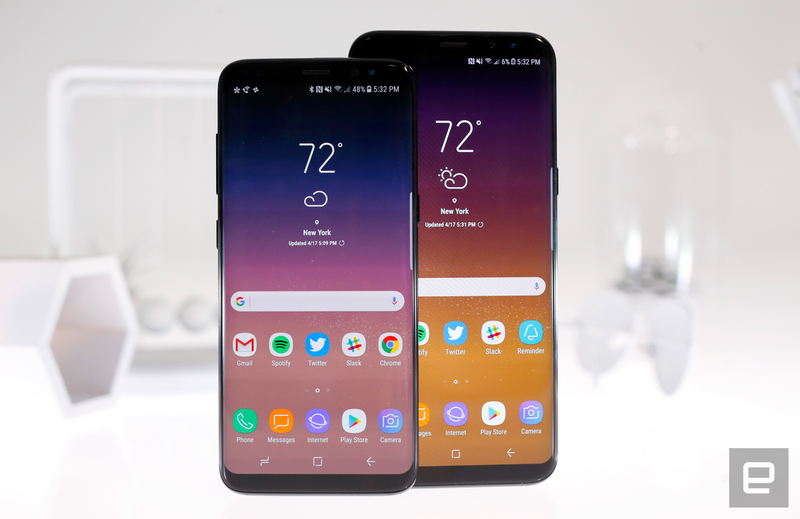 Lumping two phones into a single entry may seem like a cop-out, but whatever -- Samsung's Galaxy S8 and S8 Plus were a remarkable return to form for a company mired in controversy. As usual, Samsung combined top-tier horsepower with some truly phenomenal cameras, and we give the company credit for taking risks with projects like the Bixby AI assistant, even it's a long way off from reaching its potential. Still, it's Samsung's prowess with screens and industrial design that really impressed us. We'd argue that the S8 and S8 Plus are the most beautiful machines Samsung has ever crafted, and there's no phone maker in the world that does these big, bezel-less displays better. (No wonder Apple tapped Samsung to make the iPhone X's screen.) For Android fans, Samsung's hardware is second to none. MacBooks can seem ubiquitous at times, but Microsoft just might be the king of laptop design now. The Surface Laptop took much of what we loved about Microsoft's Surface Pro line and adapted it into a more traditional form factor. It ships with a seventh-generation Intel Core i5 or i7 processor, and while it's not the most powerful ultraportable out there, its excellent battery life and gorgeous 13.5-inch display made such concessions easier to live with. The biggest knock against the Surface Laptop is that it ships with a locked-down version of Windows 10 S, but that's easily remedied with an upgrade to Windows 10 Pro -- a process that's much easier than it sounds. The Surface Laptop line will almost certainly grow more powerful and capable over the next few years, but Microsoft's first-gen notebook for the masses still belongs on shoppers' shortlists. After the flop that was the Wii U, Nintendo's Switch hybrid marks a bold step in a new direction. First-party games like The Legend of Zelda: Breath of the Wild and Super Mario Odyssey are among the best (if not the best) in their respective series, and developers have been keen to port more adult fare like Doom and Wolfenstein II: The New Colossus to the new platform. Best of all, you don't need to be lounging in your living room to enjoy the Switch's surprisingly broad slate of year-one games. Truly, the number of Engadget staffers who swear by the Switch as a travel companion is impressive. And people seem to like the Switch as much as we do. Nintendo recently revealed it has sold more than 10 million units so far, with the new console poised to overtake the Wii U's lifetime sales in a single year. For gamers who would rather trade portability for unadulterated power, there's the Xbox One X. It's the most powerful gaming console available right now, and to make the most of it, you'll want to hook it up to the best 4K television you can get your hands on. Original Xbox One owners itching for a prettier, more nuanced gaming experience owe it to themselves to snap up one of these $500 boxes. It's a tougher sell for more casual gamers, however, and it lacks glitzy add-ons like a VR headset. Still, Microsoft has been clear from the outset: If power is your biggest priority, the Xbox One X is the way to go. Amazon's suite of Echos and Google's Home speakers are fine, but of all the smart speakers we tested this year, the Sonos One simply sounds the best. That might not be everyone's biggest priority, but still -- if you're going to insist on some kind of voice-activated speaker sitting on your kitchen counter or bookshelf, why not invest in one that sounds great? More importantly, its deep Alexa integration means the Sonos One can do just about anything one an Amazon Echo can, and a recently announced Spotify partnership means you can ask to hear all your carefully curated playlists. And for those who aren't particularly fond of Amazon's Alexa, just hang in there -- the Sonos One is slated to get Google's Assistant sometime next year. We really didn't expect to love this iPod Shuffle look-alike as much as we did, but here we are. While many people are more than happy to take their phones everywhere, the Mighty's tiny body makes it an excellent companion for workouts or long walks. It's not perfect -- the companion app in particular could use some work -- but it's been a long time since we've heard such a compelling case for carrying a separate music doo-dad. The name might be a mouthful, but Sony's latest set of high-end cans just might be the best headphones we tested in 2017. That's no small feat, since we've tried out a quite a few seriously impressive headsets this year. Audio aficionados might notice that this pair sounds basically identical to the model it replaces, but we're not complaining about the bold, dynamic audio the WH-1000XM2 produces. Better still, we thought the new cans were just a touch better than Bose in the noise-cancellation department -- an important consideration if you're a frequent traveler. And the best part? Sony upped the battery life to 30 hours of use with Bluetooth and noise cancellation enabled. There are technically better sounding headphones out there, but as far as overall value goes, Sony wins. For a long time, buying a decent drone meant shelling out loads of money. Not so much anymore. The DJI Spark is one of the more modestly priced drones we've tested, but what really sold us was how easy it is to simply pick up and start using. You don't even need a phone or a controller to use it; simply fire it up, let it go, and control it using hand gestures. Grabbing epic selfies has never been so simple. More advanced users may bristle at its relatively small battery and limited range, but beginners looking for a way to get their feet wet won't find a better option than this. This one isn't a product so much as a feature made possible by lots of underlying technology. Cadillac's Super Cruise earns points for taking the pain out of long drives. The biggest difference between Super Cruise and other semi-autonomous driving systems is that you're able to remove your hands from the steering wheel entirely. A suite of cameras are trained on you, and as long as you keep your eyes on the road, you're free to fiddle with your phone, have a conversation with your passengers or just luxuriate in peace with your hands in your lap. Commutes won't be totally hands-free, but they'll be a whole lot more tranquil than usual. The feature is only available in the pricey Cadillac CT6 for now, but if enough people splurge on Super Cruise, we wouldn't be surprised to see the technology show up in other GM cars over the next few years.